"This beach has the vibe and appearance I sought. I arrived during mid-afternoon and the beach scene was still very active with lots of people present. The beach is wide enough to handle it. It slopes gently into the ocean, mostly, and the surf was very robust. There are numerous surfing tutors up and down the beach and they were kept busy. Lifeguards are present as well as rescue equipment. The walk on the boardwalk has been a highlight of my trip, especially around the mall area. It is more scenic the more you walk toward the rock outcroppings at its end. Plenty of bars, cafes and shops are all around the area, inclusive of a market with vendors on each side if the street. " 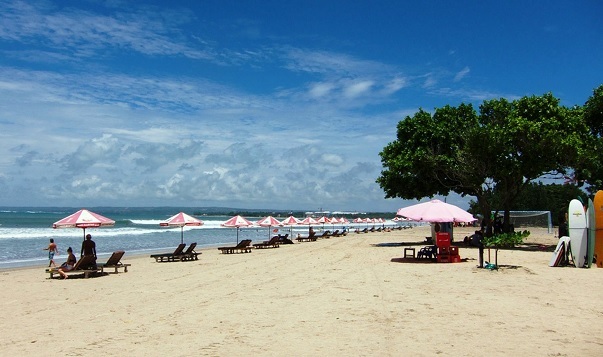 Kuta Beach has a wide wide beach at low water, but beach can have calm and high waves. This makes it very suitable for surfing, or for surfing lessons. If you don't want this, you can go swimming and snorkeling in the sea. Of course you can sunbathing under an umbrella and there is plenty to do for tourists on the beach. It attracts millions of visitors from all over the world. 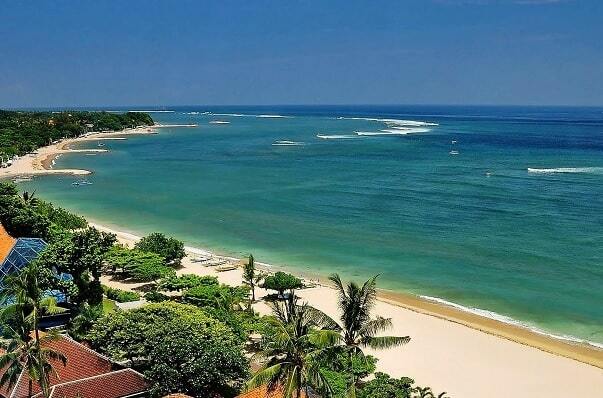 It is the most popular beach on Bali for surfing, snorkeling or meeting people. You can have a traditional Indonesian massage and young people try to sell bracelets. Some sell ice cream, lemonade, fruit, peanuts or all kinds of other things. If that's nothing for you then there are more than enough other things to do. You can go parasailing, or take a banana boat trip, or take a temporary tattoo. Flags indicate whether it is safe to swim and everywhere are rescue brigades. The beach offers a colorful scene of sun loungers and umbrellas where you can eat something and drink a fresh coconut juice or just some chilled water or soda. The beach is very wide and it is very cozy between the trees along the beach, where the little warungs and kadek bars are located. Kuta Beach is famous for its warm water, sandy bottom, quiet waves, affordable massages and its impressive sunset. Kuta Beach is a long strip of sand connecting the places of Kuta, Legian, Tuban and Seminyak on the west coast of Bali. These places have grown together. There are no clear boundaries between those places. The white, wide and elongated beach is suitable for swimmers as well as surfers. Kuta Beach is no longer the place of local fishermen with their boats and dedicated surfers. Today it is a lively entertainment strip with many amenities connecting the four places. There are many occasions where you can spend the evening after a delicious dinner. In the evening, you can also enjoy the legendary sunset on the beach before you get into the nightlife when it's dark. 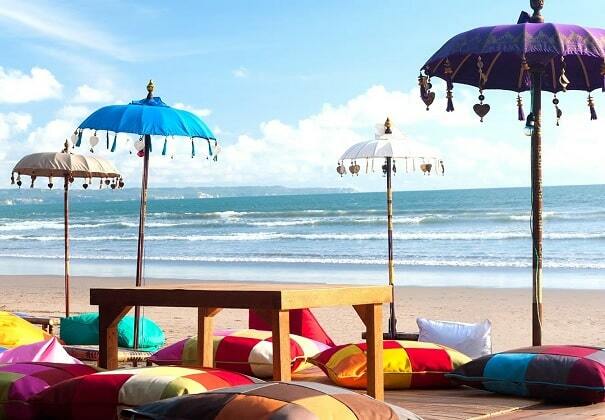 Kuta Beach is synonymous with parties, which often starts at the beach cafe where you dine. Local residents are smiling at your table to sell souvenirs and handmade jewelry. The locals are known as friendly and hospitable people. However, like any other busy tourist destination, keep an eye on your valuables and keep these belongings in a hotel safe. Annually visitors complan at Kuta Beach about problems with hygiene and piles of garbage on Kuta Beach, especially during the holiday season.It influences the assessment of domestic and foreign tourists. This image of Kuta Beach is often read. With this, it confuses visitors and sellers who leave their waste behind the beach. But it is also due to the West wind that supplies waste all year long and at the mouth of the Muara River, which flows close to the sea. Located along the shores of the Kuta Beach, this hotel is very close to heart of Bali's entertainment and shopping hub. 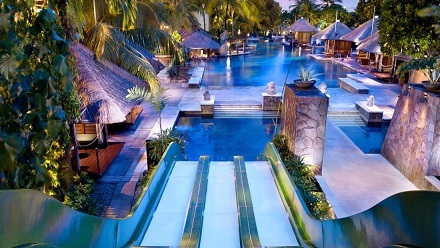 Like all other signature hotels across the world, the Hard Rock Hotel Bali in Bali is a music lover's paradise. It features 418 tribute rooms and suites which sport a rock music decor and also contain music memorabilia from the 1950s onwards. In addition to pool and spa recreation, music enthusiasts can try their hand at singing in the hotel's Boom Box Recording Studio. Dining options are aplenty with Centerstage and Hard Rock Cafe featuring live bands and Splash Bistro, Starz Diner, and HRBC Deli offering global cuisine. For a truly unique and memorable experience, Hard Rock Hotel Bali is the place to be.